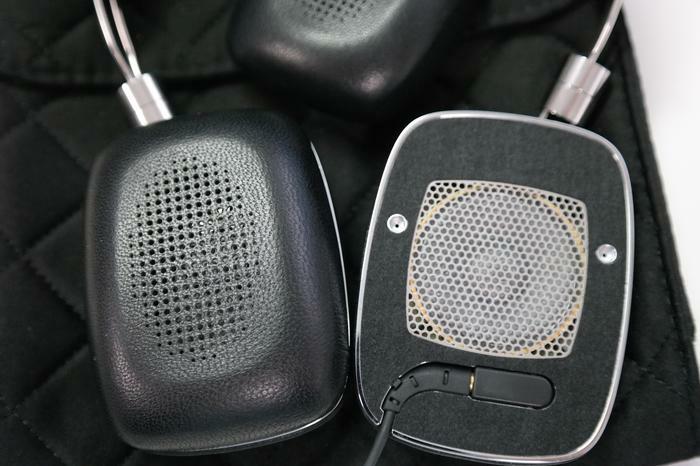 Bowers & Wilkins has taken the technology from its large P7 headphones and implanted them into its second generation P5. The headphones are designed for use with smartphones when out and about, and even though they’re a petite pair of headphones, they’re sure to please the most demanding of audiophiles. Every angle is flattering to the B&W P5. Supple leather dresses the band and the on-ear cups. Sculpted metallic arms cris-cross in what serves as both a dazzling design trait and an ingenious resizing mechanic. Enlarging the headphones is only a matter of sliding the arms up further into the headband, or down towards your ear. Then there’s the swivel joint, two metallic cylinders stacked on top of one another, elegantly turning the cups inwards without deforming the P5’s sense of symmetry. 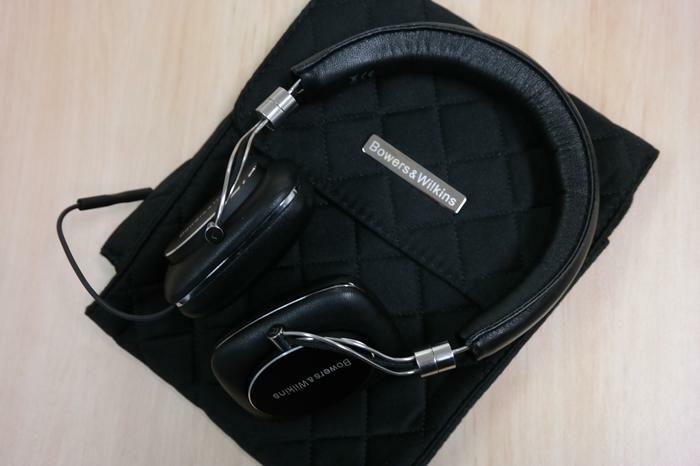 When its time to take the headphones off, they slide as is into the Bowers & Wilkins carry bag. Making a beautiful set of headphones isn’t enough. The hard part is making a great pair of headphones without the drawbacks. And we’re displeased to report the second-gen headphones are not without shortcomings. On ear cups tend to press tight against ear lobes in an effort to keep noise out and seal music in. The P5’s genuine leather cups shield noises admirably, with credit owed to the taut headband which reigns in the cups. 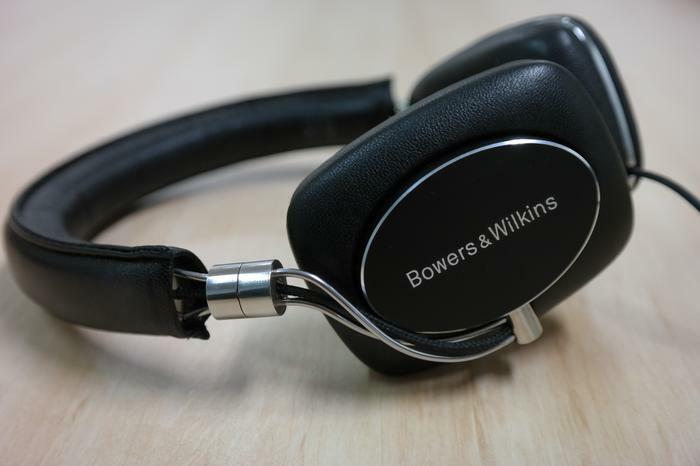 Bowers & Wilkins has lavished the brace in cushiony leather in a bid to make these headphones comfortable. And they are comfortable, as if your ears are being gingerly cupped, until the minutes turn to hours. On ear headphones are notorious for generating heat. The design, coupled with the rich leather of the P5, are cause enough for these headphones to sweat. The top-end P7s from Bowers & Wilkins are large, leather clad headphones; however, they’re destined for expensive amplifiers and comfortable lounge chairs. The P5 have to be more comfortable because people won’t be lounging around; they’ll be getting stuff done on the go. Keeping the sessions under two hours will reap rewards for the second-gen P5 intoxicates when it comes to the playback of music. Bon Iver’s Holocene is a tapestry of musical layers, each one handled with precision and tact, from the overt guitar to the subtle nuances lurching in the background. Armin Van Buuren’s In and out of love is a concoction of punchy bass, electro notes and harrowing vocals. The P5 plays this tune with clarity, volume and transparency. No frequency dominates the soundstage; rather, the P5 strike a balance with all. Amp the volume to max, hit play on Daft Punk’s Get Lucky and bodied bass — the kind that too often eludes earphones — will massage your eardrums. These headphones ooze healthy sound no matter the genre. The audio is in a class above what’s on offer from Harman Kardon, Marshall and Bose, with the only real challenger emerging from Sennheiser. No matter if you’re listening to music, watching a movie or just holding a phone call, the Bowers & Wilkins P5 are suited to all occassions. The only drawback is reserved for people interested in long listening sessions as these headphones begin to irritate after use for two straight hours.